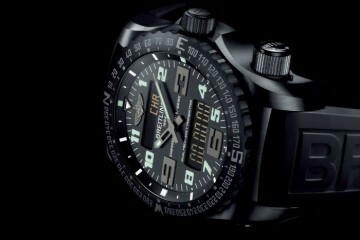 If one Swiss brand could spread its wings across the globe and proclaim air superiority it would be Breitling. 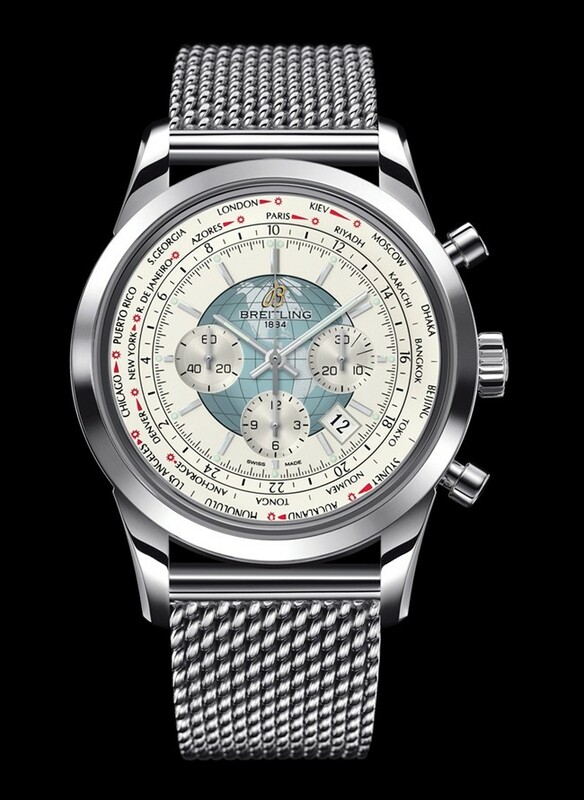 When we visited the Swiss watchmaker’s iconic booth at Basel World this year, we found one watch that embodied this claim (and is one of our selected watches to watch in 2012): the Breitling Transocean Chronograph Unitime. 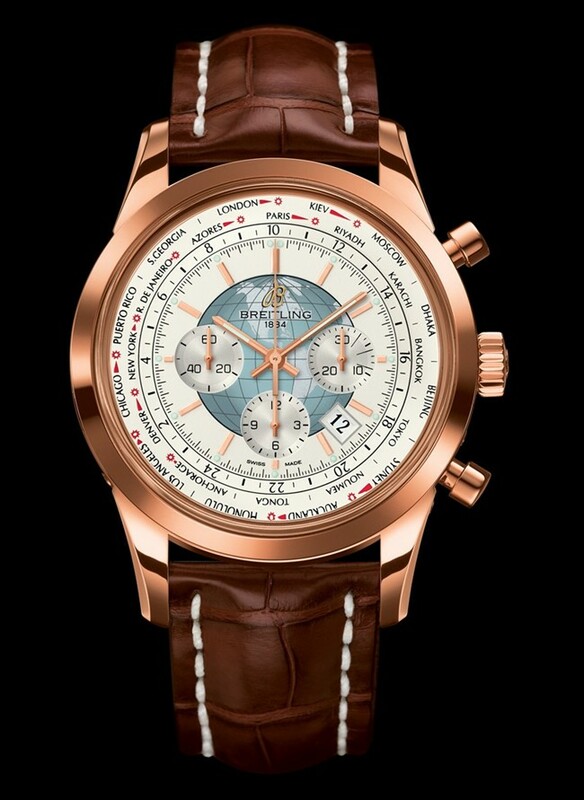 Resurrecting a function from its own archives, Breitling goes one better than its 1950s era world time watch by introducing an in-house movement. The automatic B05, which this model does not allow us to view because it does not have an exhibition caseback, combines the now-familiar functions of the B01 chronograph and date with the world time complication. The watch shows the time in 24 time zones simultaneously through the interactions of a city disk and a 24-hour disk. By matching the city to the appropriate time zone, the watch displays the correct time in each of those places. 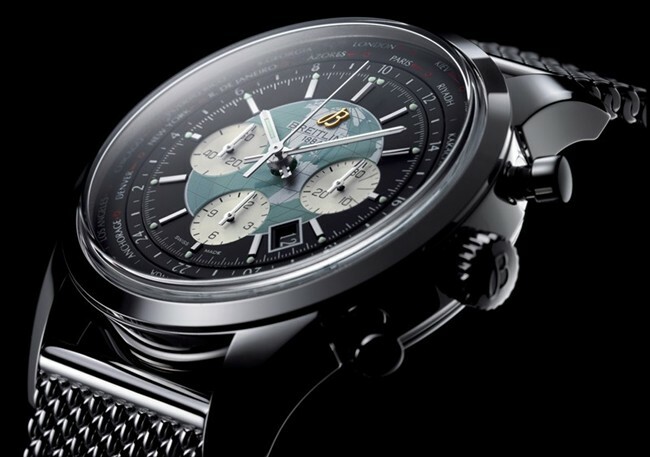 Ingeniously, Breitling’s watchmakers have created a system that allows all indications to be changed via the crown – excluding the chronograph but including the date. B05 even allows adjustments both forwards and backwards (in one hour increments, shifting all indicators), making this a very easy watch to use. 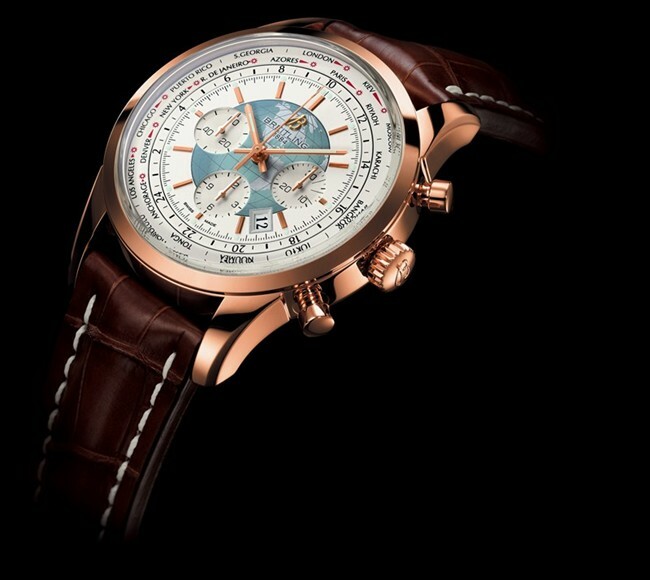 This year, Breitling offers the watch in a either a rose gold or stainless steel case, both measuring a hefty 46mm. There are several strap options, including a rather nice Milanese bracelet that we like.